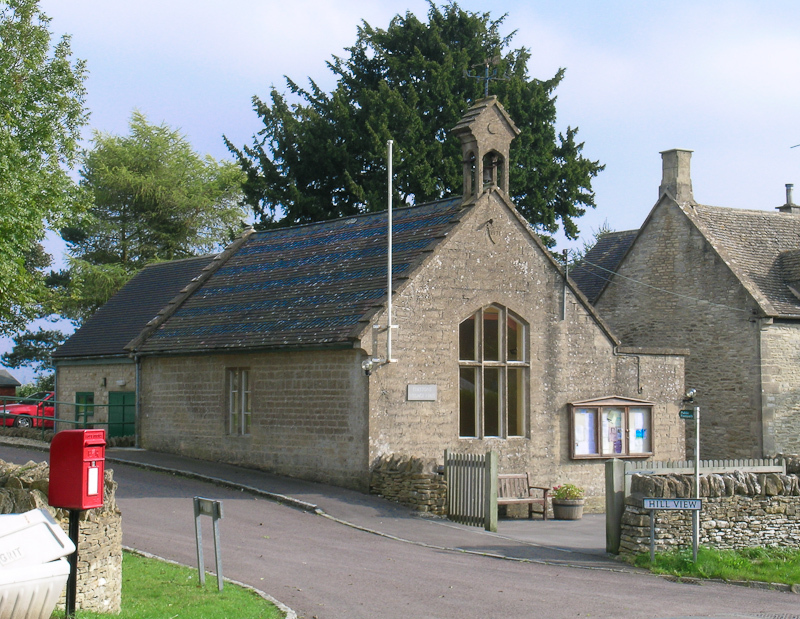 Elkstone Village Hall has an impressive set of facilities together with a large main hall which is divideable, kitchen, car park, and ladies + gents toilets. Disabled access to the hall is provided from a reserved section of the car park. The Main Hall with smaller car park at front, larger car park at rear. The sliding partition doors can be seen folded to the sides. Audio Visual (AV) equipment: This can be provided by prior arrangement: Projector, Screen, Stereo Speakers, HDMI, VGA, SCART, Phono inputs, and also a Blu-Ray and DVD player. A supplementary charge applies for the use of this facility. 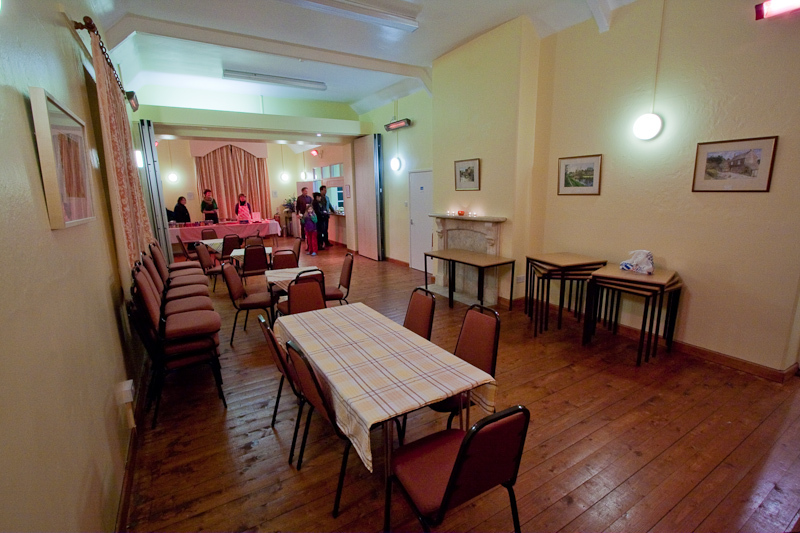 The Kitchen This has a range of catering facilities including a 900mm Range Cooker/Oven, Microwave Oven, Refrigerator, Kettles, a 5 Litre Tea Urn, and full sets of Crockery and Cutlery. Use of these are included in the quotes that provided – see the link below. A commercial dishwasher completes a whole cycle in 3 to 4 minutes – ideal for occasions with a large amount of crockery, cutlery and glassware to clean up! A supplementary charge applies for the use of this facility. There is a door giving on to the rear car park for easy carrying of catering loads, as well as serving hatch (and also door) to the main room. There are separate Ladies and Gents toilets, accessed from within the hall. Wheelchair access is via a ramp leading to double-width doors into the main hall.